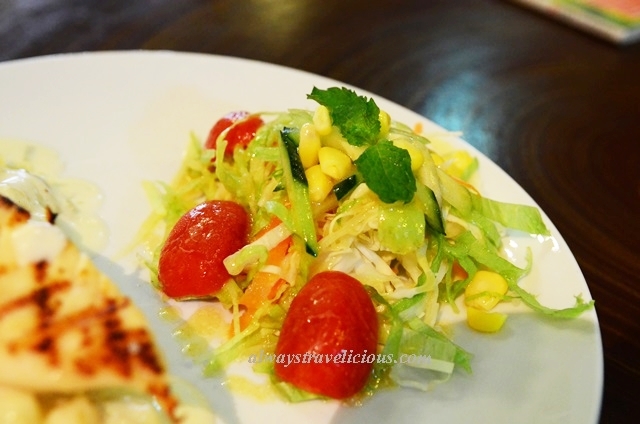 D Espresso Cafe @ Ipoh (Station 18) - Always Travelicious ! D Espresso Cafe is quite a low profile cafe located in Station 18. It has a plain facade with a simple blue signboard but once you have entered the cafe, it’s eclectic with nostalgia, DIY and personal touches. The wooden panels, red TV, rusty and rusty bicycle give the cafe a kampung feel. Smurfette seems to be enjoying an array of travel books in front of her. When I saw these chairs, I thought ” are these really what I think they are?” I was quite amused by these bus seats! soup (tomato or mushroom) and a main course. On the very front page of the menu, it said everything is cooked from scratch so please allow 15 minutes preparation time. Having read that, I was expecting tomato soup made from real tomatoes and not from a can – a little disappointed but I shrugged it off. A few items which I would have loved to try like the pork lasagna and the bloody duck (?!) 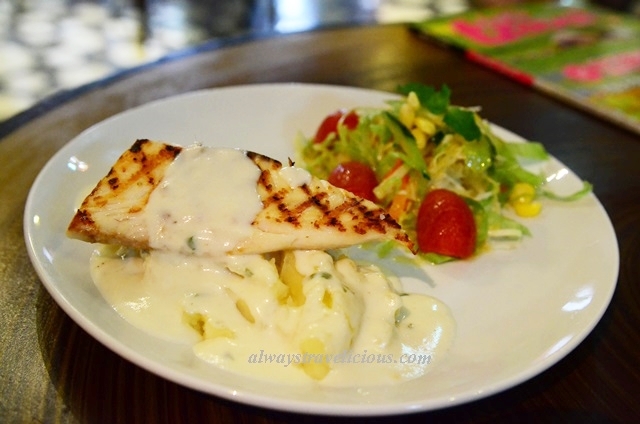 were sold out that day so I chose the Grilled St Peter’s Fish with Herb Cheese Sauce set meal (RM 21.90) In retrospect, I should have ordered pork spaghetti bolognese as that’s something less common in cafes in Ipoh with a lot of them being pork free. The fish has enticing crisscrossed grill marks and it is presented in its most original flavor with just a little bit of salt and hardly any oil, which can be a tad dull for some. I actually didn’t mind it because it’s a healthy way of cooking although a drizzle of lemon would have been nice to instantly zing up the dish. The fish is a bit dry too but the creamy potatoes beneath it makes up for the dryness. 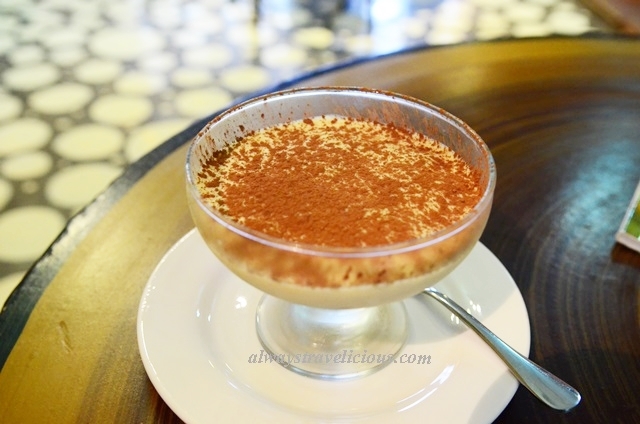 The tiramisu (RM 10) is delectable with a moderate scent of coffee and a generous sprinkle of cocoa powder. This version of tiramisu uses one layer of sponge cake and one layer of mascarpone cheese instead of alternating layers which I found to be a little less exciting while the sponge cake could have been soaked more evenly.